The Tesla Roadster is a battery electric vehicle (BEV) sports car produced by the electric car firm Tesla Roadster Motors in California. The Roadster was the first highway-capable all-electric vehicle in serial production available in the United States. 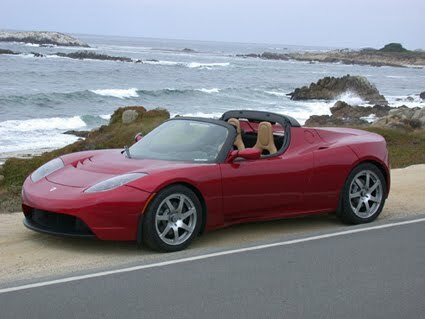 Since 2008 Tesla Roadster has sold more than 1,500 Roadsters in 30 countries as of March 2011. Tesla began producing right-hand-drive Roadsters in early 2010 for the British Isles, Australia, Japan, Hong Kong and Singapore. 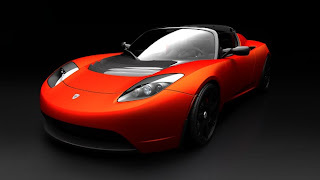 The Tesla Roadster is the first production automobile to use lithium-ion battery cells and the first production BEV (all-electric) to travel more than 200 miles (320 km) per charge. The world distance record of 501 km (311 mi) for a production electric car on a single charge was set by a Roadster on October 27, 2009, during the Global Green Challenge in outback Australia, in which it averaged a speed of 25 mph (40 km/h). In March 2010, a Tesla Roadster became the first electric vehicle to win the Monte Carlo Alternative Energy Rally and the first to win any Federation Internationale de l'Automobile-sanctioned championship when a Tesla Roadster driven by former Formula One driver Érik Comas beat 96 competitors for range, efficiency and performance in the three-day, nearly 1,000-kilometer (621 mile) challenge. 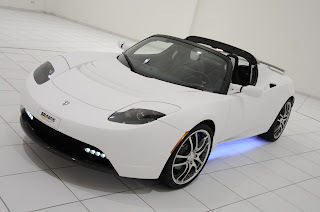 According to the U.S. EPA, the Roadster can travel 244 miles (393 km) on a single charge of its lithium-ion battery pack, and can accelerate from 0 to 60 mph (0 to 97 km/h) in 3.9 seconds. 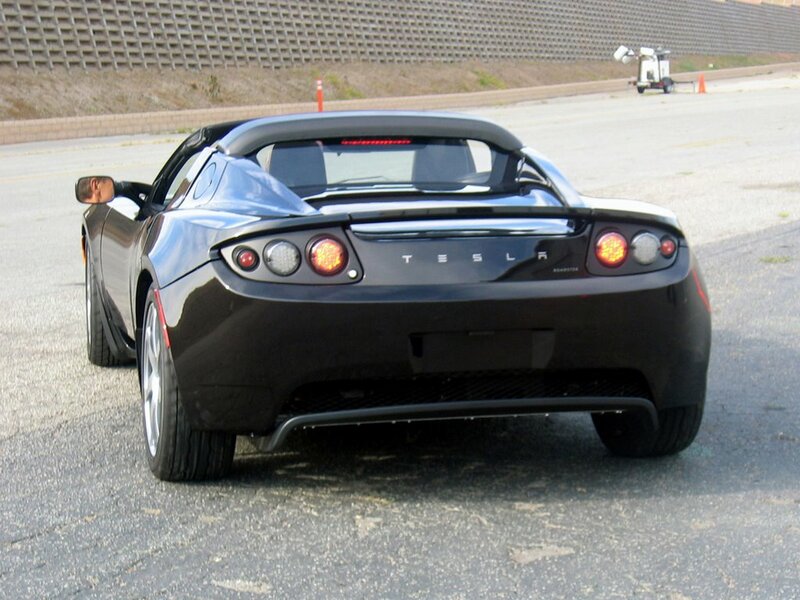 The Tesla Roadster's efficiency, as of September 2008[update], was reported as 120 mpgge (2.0 L/100 km). It uses 135 Wh/km (21.7 kW·h/100 mi, 13.5 kW·h/100 km or 490 kJ/km) battery-to-wheel, and has an efficiency of 88% on average. The Tesla Roadster has a base price of US$109,000 in the United States, £86,950 in the United Kingdom, and €84,000 in continental Europe. 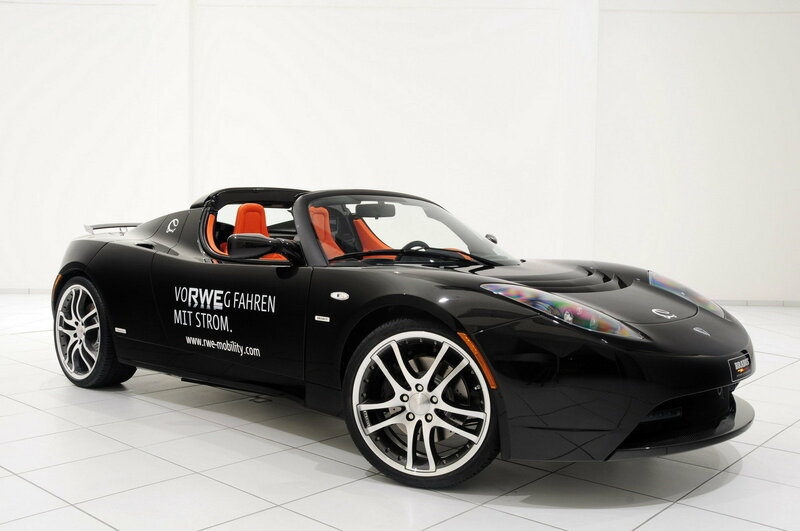 As an electric vehicle, the Tesla Roadster also qualifies for several government incentives in many nations.